This article is the 4th in a series about Masjid leadership in the digital age and draws from the book Leading Congregations and Nonprofits in a Connected World. To stay up to date on all new articles published here, please join our email list. Why would we invest in mail-order DVD’s when that would hurt our retail business? That’s the question Blockbuster asked itself when Netflix appeared on the block. It’s easy to see in hindsight they should have invested in the ‘new’ business instead of holding on to the existing one. At the moment it appeared to be a rational decision made by super qualified people. They were doing everything right and had no reason to believe Netflix was a real threat. This is a glimpse into what Clayton Christensen calls the Innovator’s Dilemma (not to be confused with the dilemma of bid'ah). An organization can be doing everything right, and yet, they’ll still lose their stature and leadership. Do you cater to your existing audience, or adopt a new way of doing things to address future needs instead? This is the same dilemma facing our local Islamic centers. Masjids have reached a certain level of success by doing things a particular kind of way. Funds were collected and managed with a goal of establishing institutions - build masjids, full-time Islamic schools, gyms, Sunday schools, hire an imam, and then maybe a youth director. This model works. And depending on how you see things, the argument can be made that it is currently working and will continue to for the foreseeable future. The world is changing rapidly. As our community centers have struggled to keep up with this change, we see people shifting to getting their spirituality online, third spaces, or other initiatives outside the masjid space. Ignoring those changes is a sign of weak leadership. It is a failure to recognize the need to adapt and an inability to articulate a clear vision for the future. What can the masjid provide to provide spiritual guidance? How can it cultivate bonds of brotherhood and sisterhood for community members? How will it attract and engage those who are disconnected (regardless of age)? And how will it continue to do that 20 years from now with all the rapid changes we will experience in society? This is the lens by which we must critically examine “how things have always been done.” We must find a way to honor the past while simultaneously investing in the future. Of course, everyone thinks they’re investing in the future. There is a gap in how board or shura members see themselves, and how everyone else sees them. This gap occurs when the vision and mission of an organization get lost. Organizations drift away from the future vision and begin to focus on self-preservation. They’ll spend time doing things like rewriting the constitution and by-laws and overemphasizing their structure and procedures. This is good management practice. The problem with sound management practice is that it is incentivized to preserve the status quo - just with more efficiency. Focusing on the vision fosters true leadership. It enables strategic decision making to achieve the desired future outcomes. When that strategic vision can be tied to future outcomes that the community has bought into - that is when you create momentum and practically engage in the practice of community building. If Someone Handed You $5 Million, What Would You Build For the Community? Not What You Think. Someone posed this question to me recently (seriously, not hypothetically). Let's say there's a benefactor who has given you a blank check to build something of use for the community - what would you build? The thinking was why not build a better version of the Bayyinah or Qalam Campus, or a super amazing youth center? This question presupposes that by simply having the funds, you can shortcut the headache and have an amazing facility. It's true - you will have an amazing facility, but that might be it. I'm fortunate, alhamdulillah, to have had an insider's view (from an administrative capacity) of the launch of both institutions as they transitioned to full time campuses. As I reflected on the question, I realized one of the most important lessons about the process. As cliche as it sounds - it's the journey, not the destination. Those programs succeeded in large part on sweat equity. Hustling and grinding. 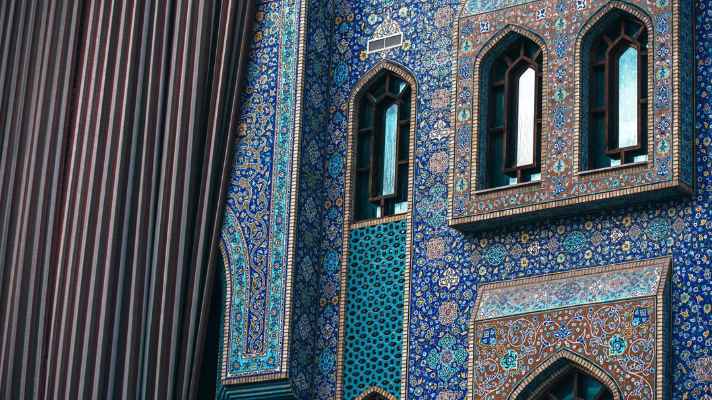 Traveling to dozens (if not over a hundred) Islamic centers and teaching courses, making connections, developing students, and establishing relationships. People see the finished product and think that with some money it can be recreated. The truth is, the final product is a culmination of years of hard work. It's that work and those relationships which enable the success of establishing something. I'm fairly positive if you hit rewind, and handed those institutions $5 million about 8 years ago - they would have a fantastic facility and full-time staff. But this money is not able to buy results. It is not able to buy credibility. It is not able to buy a reputation. You can build a fancy youth center, but unless there is a community that they feel a part of, the structure will not make a difference. The greatest masjid stories are those that started out with 5 guys praying juma in the living room of a 2 bedroom apartment. Not the stories of empty multi-million dollar facilities. In many ways, how you get there is more important than where you go. Once you arrive, it's quickly on to the next thing. You have to have traction to make that jump. We can all dream about what kind of institutions we'd build if we had unlimited capital, but the reality is "build it and they will come" is a proven failure. Show people you care, serve them, and whatever you need built will happen by the grace and blessing of Allah (swt).